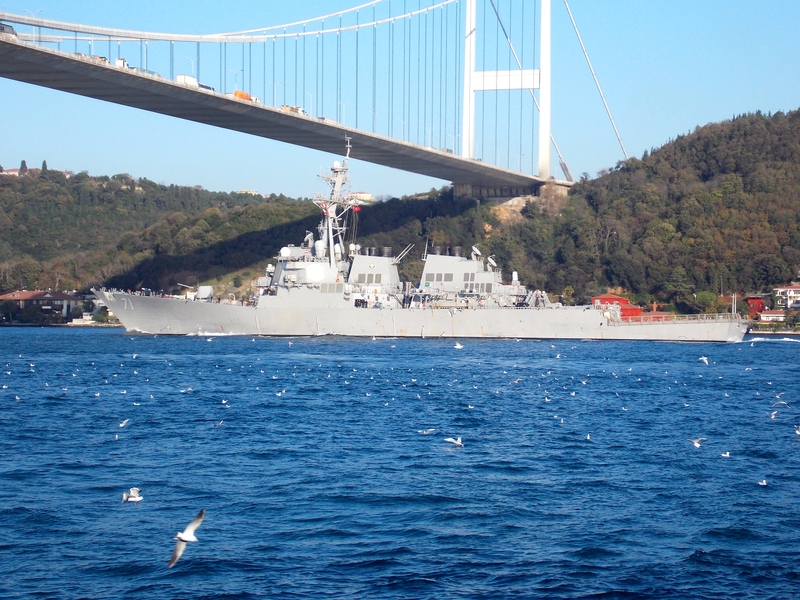 DDG-71 USS Ross making her northbound passage through the Bosphorus. Photo: Yörük Işık. Used with permission. Russian landing ship Novocharkassk making her southbound passage while USS Ross is making her northbound passage through the Bosphorus. Photo: Yörük Işık. Used with permission. 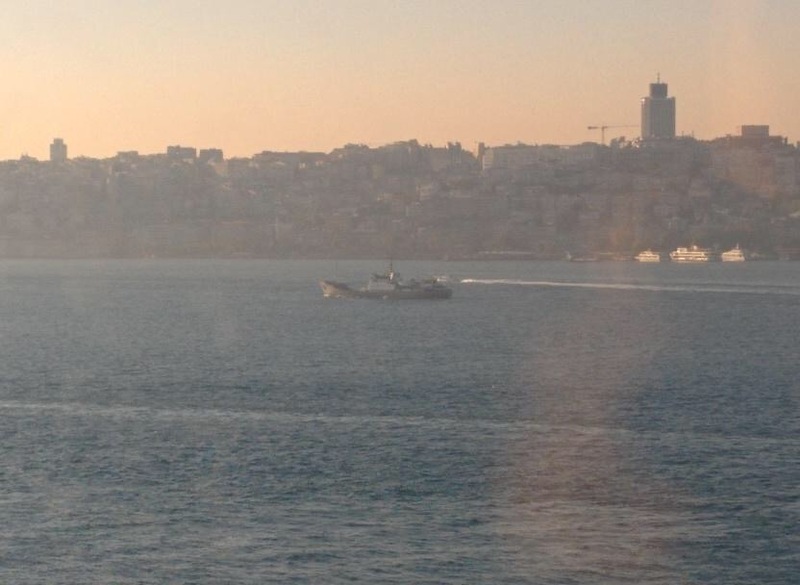 Russian landing ship Kaliningrad making her southbound passage through the Bosphorus. Photo: Yörük Işık. Used with permission. 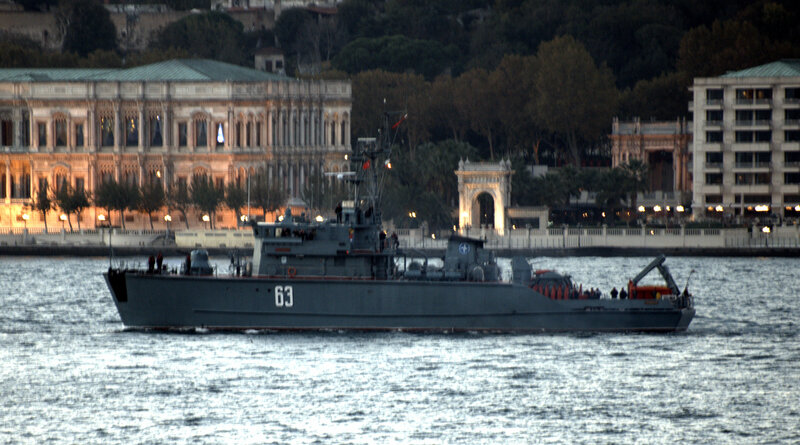 Bulgarian mine hunter Priboi passing through the Bosphorus. Russian intelligence gathering ship Kildin heading to the Mediterranean. Photo: Alper Böler. Used with permission. 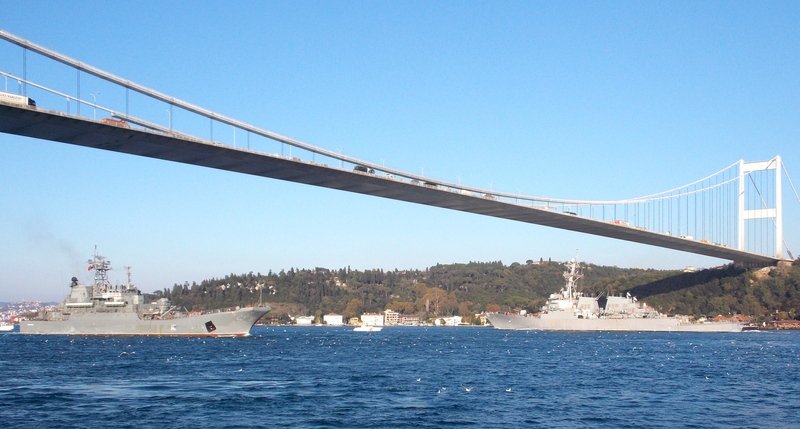 Yesterday and today we have witnessed a increased activity of foreign warships in Turkish Straits. 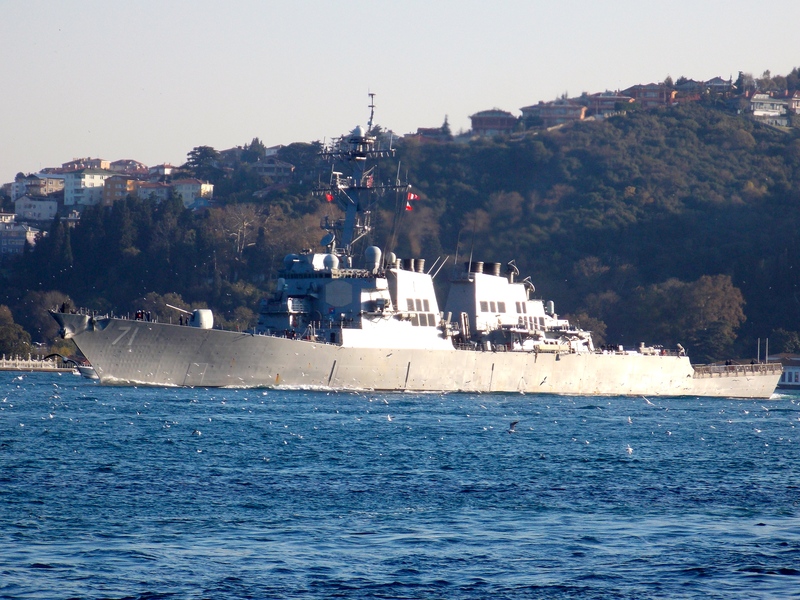 Yesterday the US Navy destroyer DDG-71 USS Ross made her second deployment to the Black Sea. 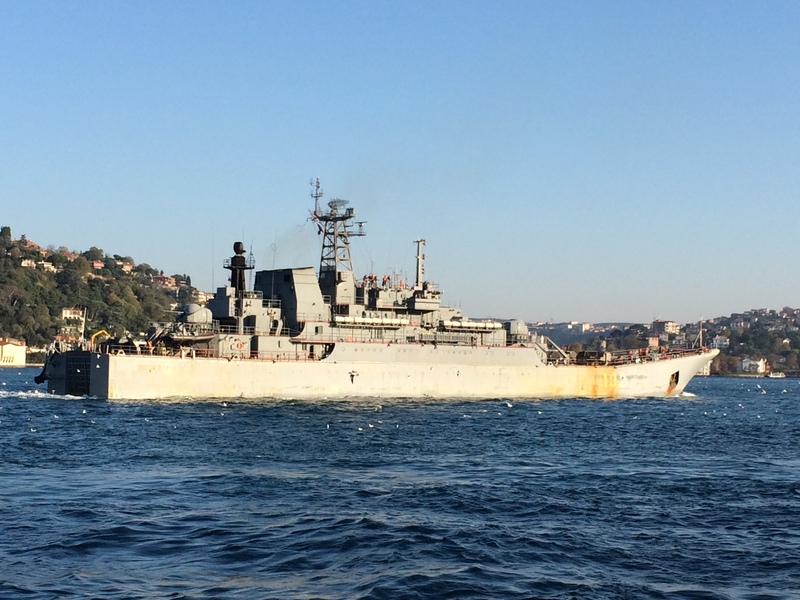 As she was passing through the Bosphorus she has encountered 2 Russian landing ships, Novocharkassk and Kaliningrad making their southbound passage. This trio was later followed by the Bulgarian minehunter Priboi. Today we have seen the Russian intelligence gathering ship Kildin making her southbound passage. Who knows maybe she is going to shadow the Mavi Balina ASW exercise, starting on 6 November. Thank you. I have corrected it. Great picture of Novocharkassk and Ross in the same frame!! !